Sonata in A Minor for Cello and Piano, Op. 36; Ernst von Dohnanyi: Sonata in B-flat Major, op. 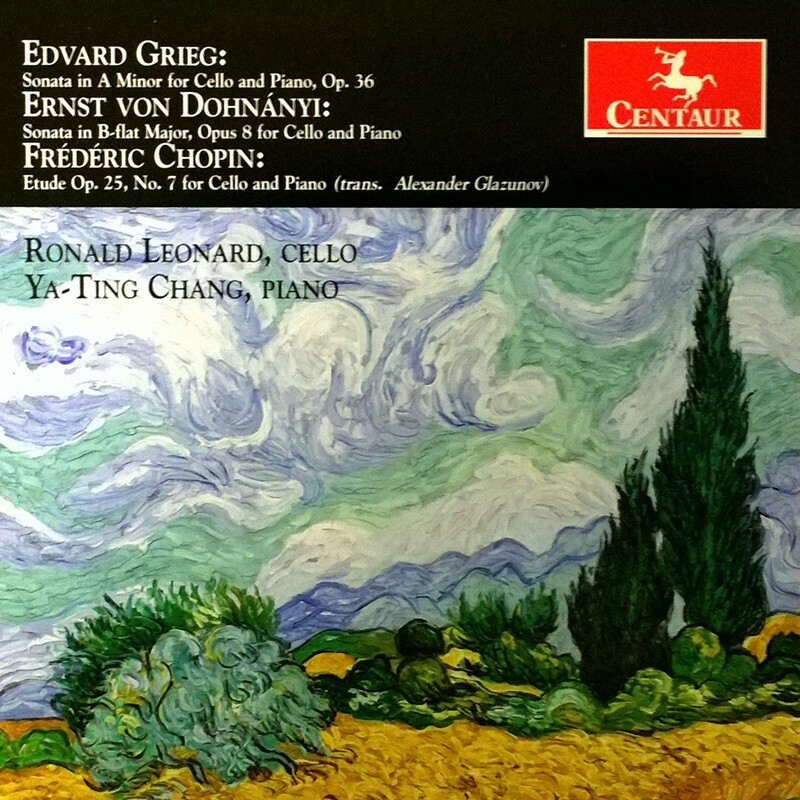 8 for Cello and Piano; Frederic Chopin: Etude Op. 25, No. 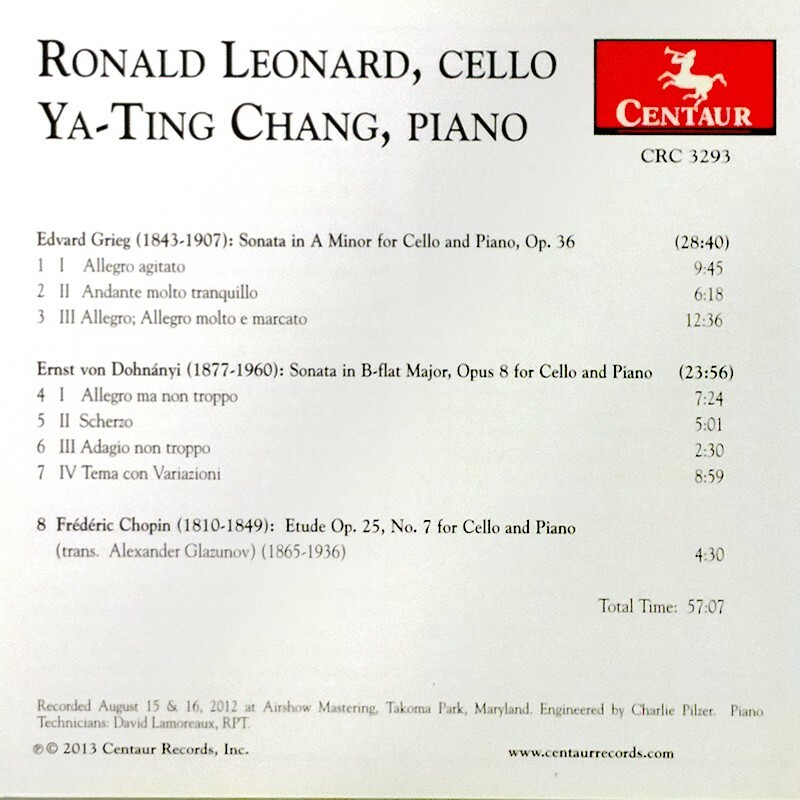 7 for Cello and Piano; Ronald Leonard, cello; Ya-Ting Chang, piano.